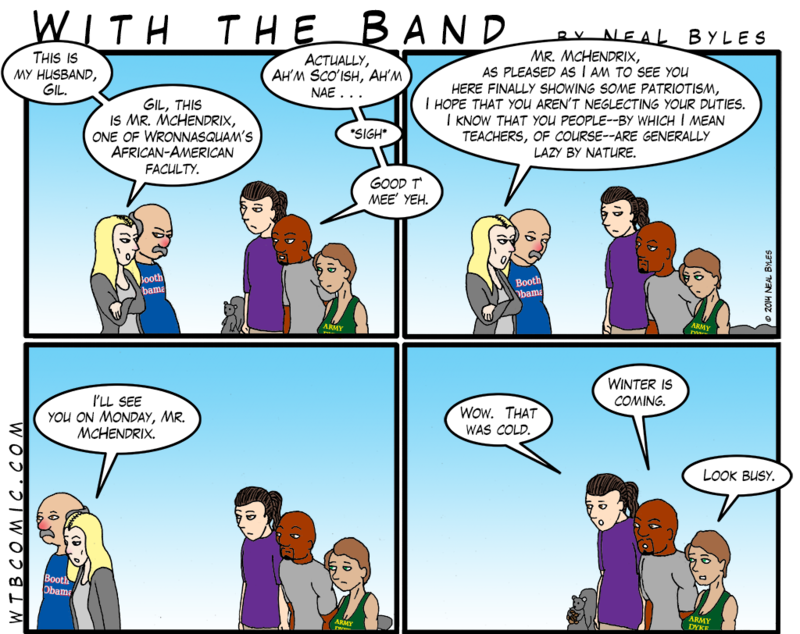 To see why the band is so disconcerted to run into Dr. Vandemar, read her saga, “I, Pledge,” starting here. 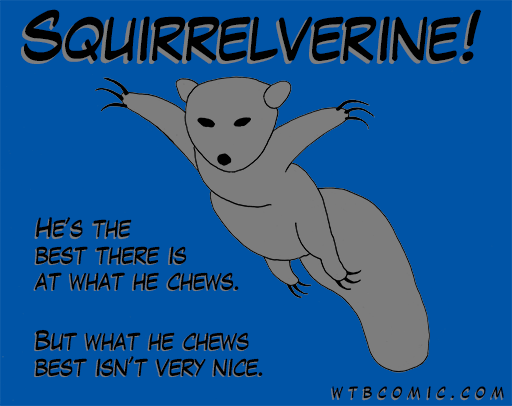 The new t-shirt designs are now officially available in the Groupie Squirrel Store. Alas, at this point we’re still on an honor system: you send me the money via PayPal and I’ll send you a shirt or shirts via snail mail, but we hope to have a proper store with proper secured payments very soon, so keep watching this space! Here are the new shirt designs, including the one inspired by this very strip!